Have you ever looked at a property and then spent hours trawling the internet trying to compare prices but only getting confused? Have you thought about adding another bedroom but not sure what value it may add to your property? Would you like to know what equity you have in your home that you may be able to use for future investment? Have you thought about buying an investment property but not sure what the prices are like in that area? Have you ever wondered whether a particular suburb would be a wise place to invest? If you answered yes to any of the above, then a you need a Comparative Market Analysis(CMA) and we’re offering you one for free! We use them daily to ascertain the value of our client’s properties to ensure that they receive a fair valuation from the valuers who have a tendency to always value on the conservative side. BUYING: Obtaining a CMA on a property you’re considering buying will ensure you don’t pay too much for the property. It will also provide information on rental prices if you’re considering buying for investment purposes. SELLING: A CMA will let you know a fair market price for your area and your type of property. You want to ensure your property sells but also don’t want to give the property away. It can help you sort out the agents that over quote a selling price in a bid to win your listing! RENOVATIONS: Helping you determine whether renovating your property or your proposed purchase will help you add value in your area or would the money be better spent elsewhere. PROPERTY INVESTMENT: You may be able to use the equity in your current property to purchase an investment property. The CMA will let you know how much your property’s value has increased over time. It will also allow you to make better investment decisions on your proposed purchase and location. The report is prepared by Australia’s largest property data firm Core Logic. 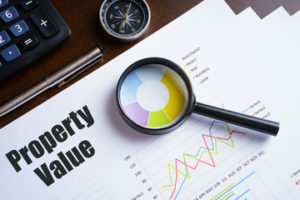 This is the same information that Property Valuers access in preparing their valuation reports, so you can be assured that the information that you receive is both relevant and timely. Contact us now on 07 5554 5221 if you’d like to take advantage of this service. Most companies charge $30 for this sort of report!